We had such a great time this year with Pat’s theme, 'Let’s Go Camping!' and your blocks have inspired us to add more camping to our lives. The last block download is after Pat discusses her inspiration for this month's block down below. Block #9 is Friendships Made. Most of my camping friendships were made in the Girl Scouts. Endless hours of giggling, planning, and learning about camping happened with my friends. In my block photo this month I added back my Girl Scout silverware kit. I love it because it’s ‘red’ and because it locks together. That locking together was endless fascinating to me! As an adult I’ve not done much camping, but I have loads of friend who do. My last ‘regular’ camping was with close friends to an Indy car race in the Pocono’s of Pennsylvania. It was ‘back in the day’ and they let us camp in the infield of the track. They brought the camper we brought the food. We’ve also camped at airfields when attending air shows, that is a great way to meet so many wonderful aviation enthusiasts! Whatever your interest is, there is a camping group for it. Many people camp for the community and the friendships that blossom. They camp for the FUN of being able to kick back for a relaxed weekend, relaxed week, or even go for a full time RVing lifestyle change. I did some research and found a lot of websites about camping for the ‘Big Kids’. Here are a few to get you started in finding your perfect camping friends! • Camper Community - this site has information by topic, like camping at Christmas, going full time, and maintenance on the road tips. They also have an active forum by topic to ask people who know. • Camping Meetups – to find new friends! 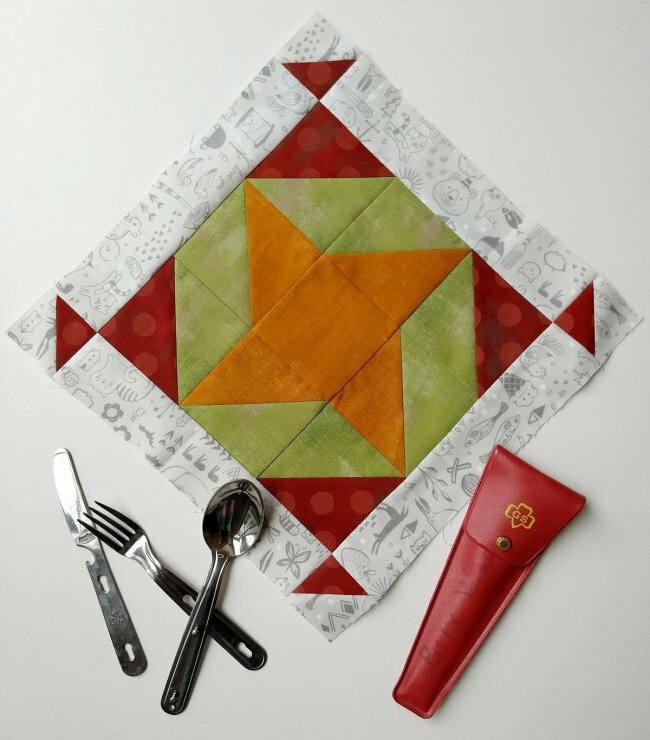 ** IMPORTANT ** about the 3rd week in November I’ll post a Quilt Show Share for your finished top and Reveal the 2019 Mystery Block of the Month theme and supply list! Do you have a favorite a favorite camping activity, perhaps something unexpectedly fun? We’d love to hear it, tell us in the comments! Gooseberry Garden opened in August 2015 to fill the void created when a local, much-loved quilt shop closed its doors. 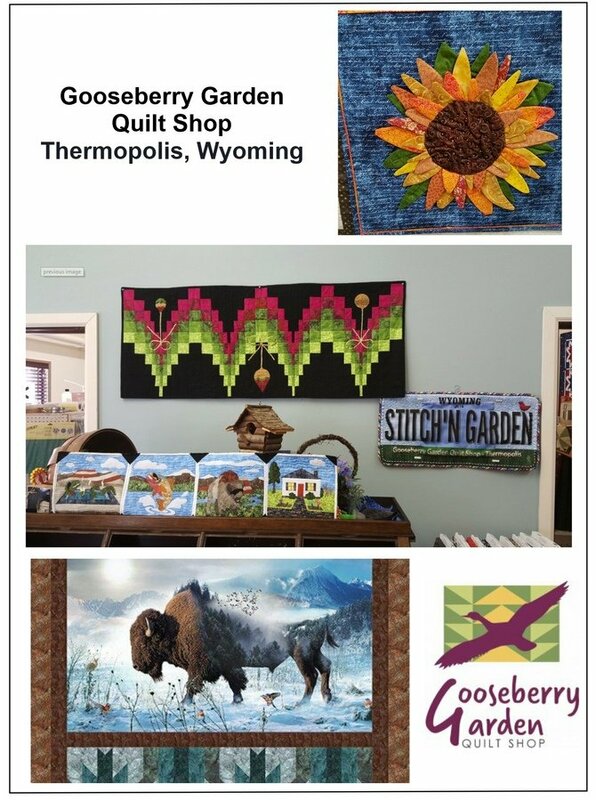 Owned and operated by Susan and Jack Turnbull, the main goal at Gooseberry Garden Quilt Shop is to provide quilting enthusiasts from the Big Horn Basin and beyond with premium grade fabrics, exceptional product variety, and endless creative options. With a focus on unparalleled quality and service, we're dedicated to providing the best customer experience possible, whether it's in-store or online. Located at the corner of Broadway and 6th Streets (entrance on 6th), we strive to maintain a welcoming and supportive environment where our community members can gather to learn, share ideas, inspire one another, and enjoy the camaraderie of fellow quilters. Susan, Jack, and the rest of the staff here at Gooseberry Garden, are a friendly bunch of folks who thoroughly enjoy assisting customers with questions, big or small. We're dedicated to nurturing the creative spirit of each individual customer and going the extra mile to help quilters of all skill levels successfully finish their projects! Our motto is "If you're not having fun, then let's fix it!" 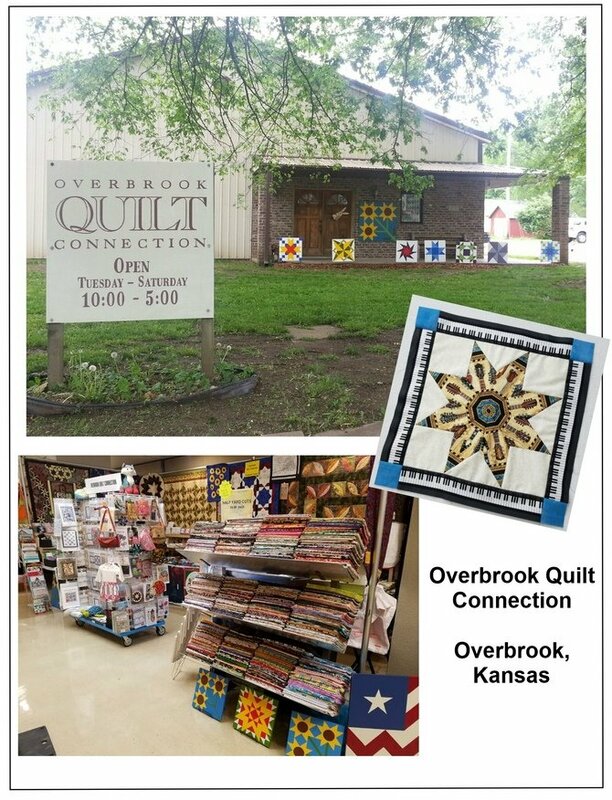 The city of Overbrook, KS, has a quilt shop history that is over 20 years old. Overbrook Quilt Connection owner, Amy Safarik, is thrilled to preserve the community’s quilting heritage by continuing to provide the industry's latest books, patterns, notions, stencils, notions and tools, along with over 2000 bolts of premium quality designer fabrics. Located at 500 Maple St. (just three blocks south of 56 Highway), on the scenic and historic Santa Fe Trail, our shop features a welcoming atmosphere where creativity thrives. Our team of dedicated staff members is passionate about helping customers find the products and services that will help them bring their imagination to life with fabric and thread. We believe that quilters are special individuals with a unique form of creative expression. Our goal is to cultivate their talents and passions by providing expert quilting knowledge, product variety, ongoing project support, and personalized service to meet their creative challenges. When you’re in the area, please drop by and pay us a visit, or visit us here online and keep in touch via Facebook and email. We love meeting new quilting friends and look forward to serving you! Are you loving our camping theme this year? 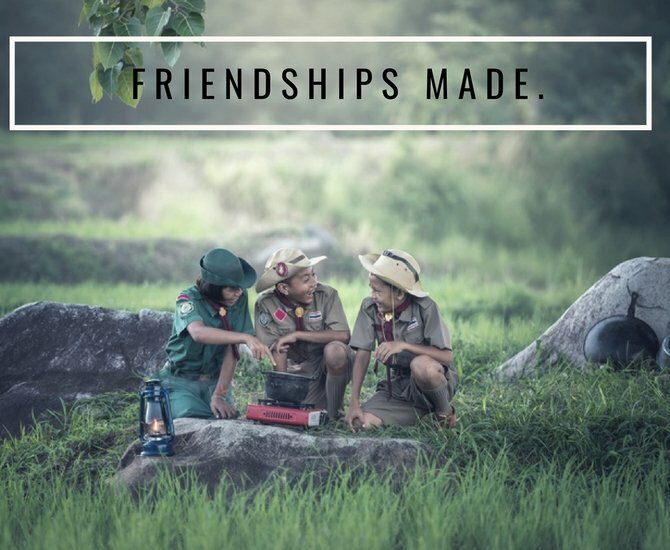 Leave me a comment below telling me about your favorite camping friendship memories!